This volume is a veritable celebration of the works of Indianapolis artist Suzy Friedman. Throughout her prolific career as a fine artist, Suzy displayed remarkable artistic range-using oils, acrylics, pastels, watercolors, ink, pencil, cut glass and more to produce timeless works of art. The cost of the book is $60. 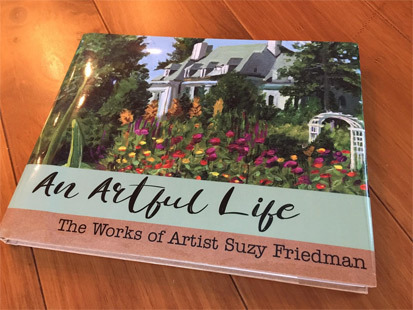 To order a book, please send your name, email address, phone number, and desired number of copies to info@suzyfriedmanarts.com. We will be in touch to confirm and collect payment.